It’s a new year, and social media has yet to slow down. YouTube has again announced changes in its algorithms to stop the recommendations of conspiracy videos. Instagram has released a feature that’s left users divided on its implications. And Facebook? You guessed it, it’s back to scandal town. media update’s Jenna Cook puts these stories under her microscope and reveals exactly why they’re making headlines. The news: Youtube announced on Friday, 25 January, that it’ll take another go at reconfiguring its recommendation algorithm – the thing that automatically suggests videos to users based on what they've already watched. Why? 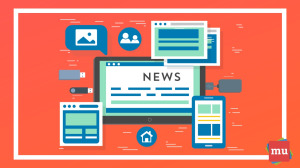 In order to decrease the spread of content that “comes close to – but doesn’t quite cross the line” of promoting false information and conspiracies. While this might look like a very noble pursuit, it’s hot on the heels of many users receiving content suggestions that turned out to be #FakeNews. But let’s remind ourselves for a minute that while there are strict regulations on YouTube that discourage ill-informed content, it’s not banned. And why not? Because the platform has long been an online space where users can freely and openly voice their opinions and ideas – even when said opinions and ideas are not entirely factual. Great, so anyone can say whatever they want to and it’s completely okay? Well no. YouTube owes it to their users to create the best experience possible – i.e. 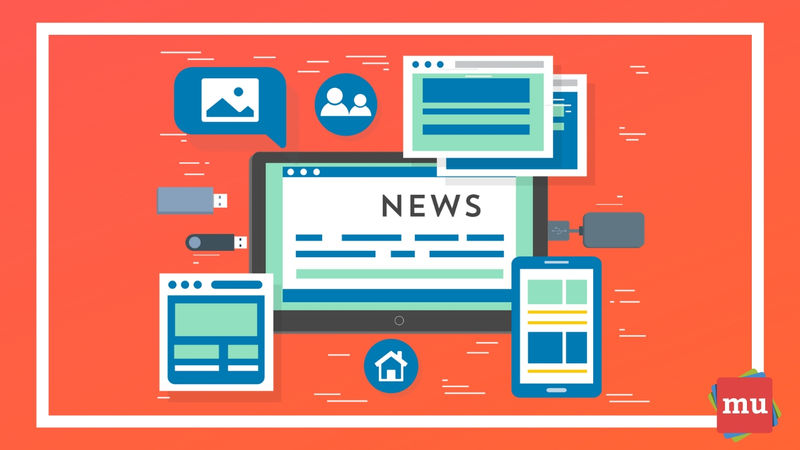 users looking for news should have access to real, factual content. Enter the tech-team responsible for the recommendation algorithm. YouTube said that this is going to be a six-month operation applying – at first – to only 1% of the content on their site, provided that it’s in English. This means that, in the meantime, there’ll still be some fake news slipping through the cracks. So until the new and improved algorithm hits the streets, users will need to be a little skeptical about their news. Why it’s making headlines: YouTube’s crackdown of the spread of fake news and misinformation is a step in the right direction for the world largest video platform. The content giant is better known for its ability to spew content that appeals to users, rather than fact-checking it. But we live in hope of a world where fake news becomes old news. The news: Have you ever tried to delete Facebook from your phone? As it turns out, you can’t – at least that’s the reality for some disturbed Android users. By now, we’re all pretty tired of the scandals surrounding Facebook, but the reality is, there’s A LOT of dirt still being uncovered. The latest WHAT? is that Facebook has been linked to an agreement with Android smartphone manufacturers. So what’s the deal? Manufacturers are required to preload the Facebook app onto phones – and make the software undeletable, i.e. a permanent feature of the device. And while you can’t delete it, you can disable it – thanks Facebook! This deal has left users wondering what kind of information Facebook has access to even if the app has been disabled – can they still see your personal data? Track your location? I mean, you can’t blame people for being paranoid – Hello, Cambridge Analytica. According to the social platform, once the app has been disabled, it’ll remain that way – in a dormant or zombie phase – until it’s re-enabled. Why it’s making headlines: If users can disable and enable the app at any time, and there’s no additional information in it for the platform, then why would Facebook make this move in the first place? There has been talk about it being Facebook’s attempt to one-up its competitors, Or that it’s a way to improve targeted advertising. Either way, no one is really sure at the moment. The news: Earlier this month, Instagram announced its new ‘self regram’ feature. Now we know what a regram is – when User A likes a photo on User B’s profile and wants to publish it on their own account while still giving creds to User B – but what on earth is a self regram?! Like the name suggests, it’s a chance to republish your own content – except not in the way you’d expect. This new feature will allow you to create one post and publish it again on different accounts – AT THE SAME TIME. Now don’t get too excited just yet – especially if you’re an Android user as it’s only available on iOS right now. 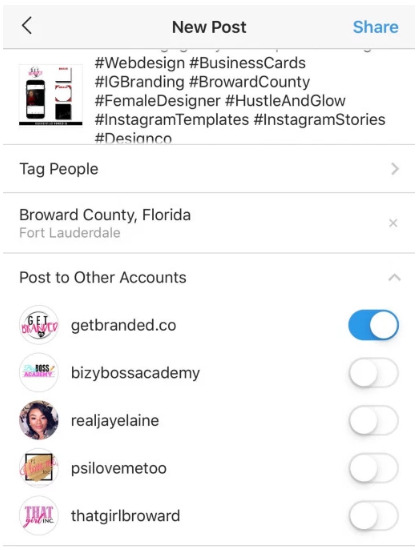 A few critics (I’m talking about your social media account managers) are saying that this feature could potentially remove the authenticity that makes Instagram so successful. Why, you ask? While the feature does save time for users, publishing content that needs to suit all these accounts means less exclusive and unique content in the long run. And if one image, one caption and one set of hashtags take up space across five different accounts, we might be in for a cookie-cutter future. Why it’s making headlines: The self gram will streamline content – making it easier for businesses, influencers and us insta-aficionados to post the same picture, video or story across multiple accounts instead of posting them one by one. And that’s pretty cool. But let’s not forget that copy and paste might seriously dilute the amount of exclusive content we see. And that’s not so cool. Ever wonder how some brands always get it right on social media? They have a secret recipe, of course! Our latest article, How to create a social media style guide: A brand's recipe for success, will show you how to whip up your own.